Make dreams come true ... 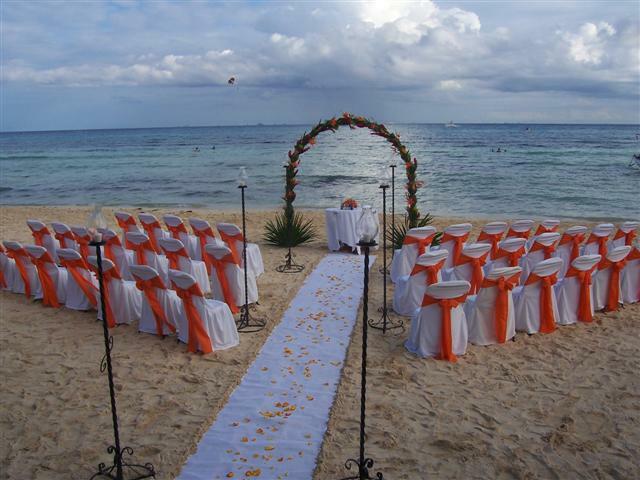 Whether you imagine an intimate wedding on the beach, or a sophisticated club event for 500, Blue Parrot offers you the area’s most memorable locations. 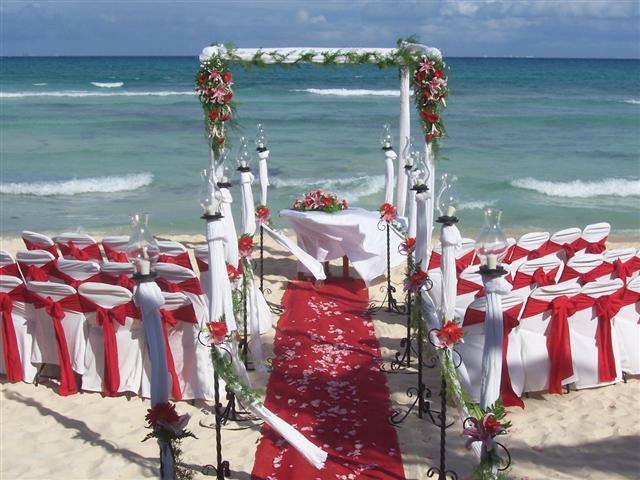 All are beautifully prepared to host your pre-wedding celebrations, wedding day or honeymoon – or everything at once! 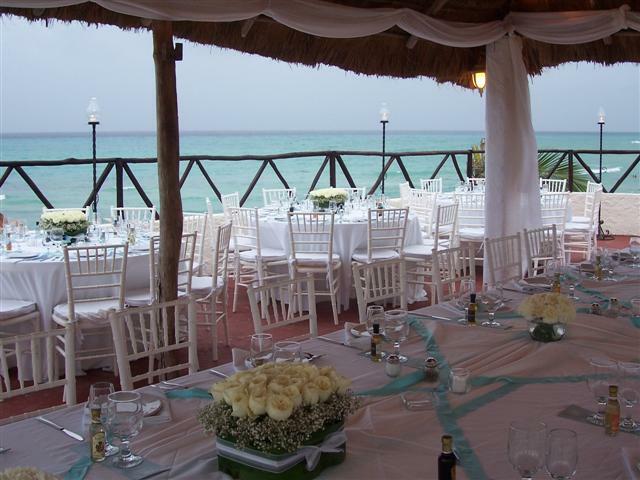 A wide variety of options for guest accommodations, dining and clubbing make Blue Parrot the ideal choice for your wedding. 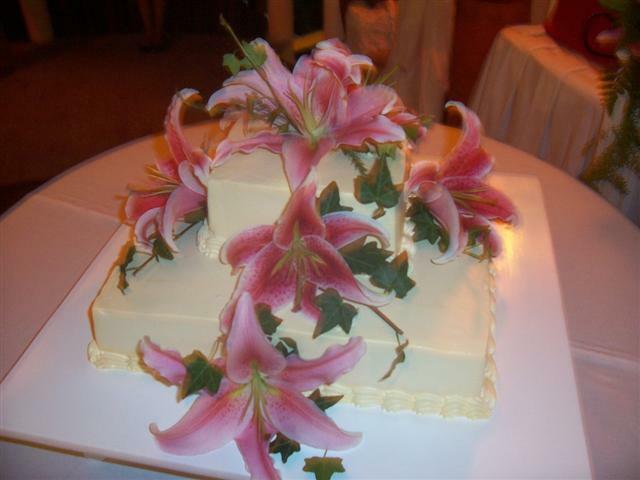 Simplify wedding planning ... Getting ready for your important day gives you enough to think about. 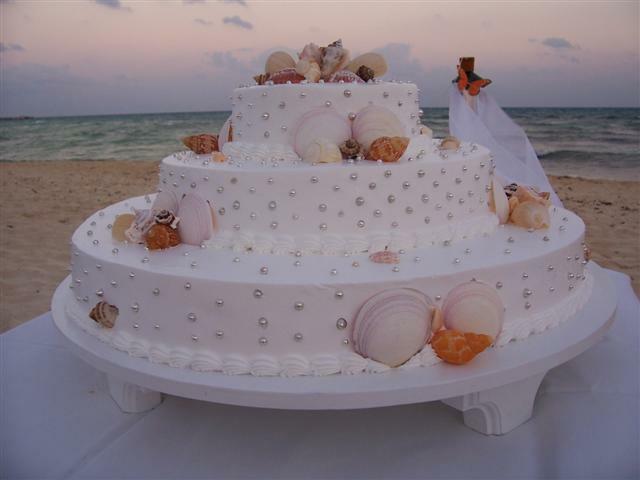 Our unrivaled attention to detail ensures that your special event will be tailored to your needs and come off without a hitch. From wherever in the world you may be! 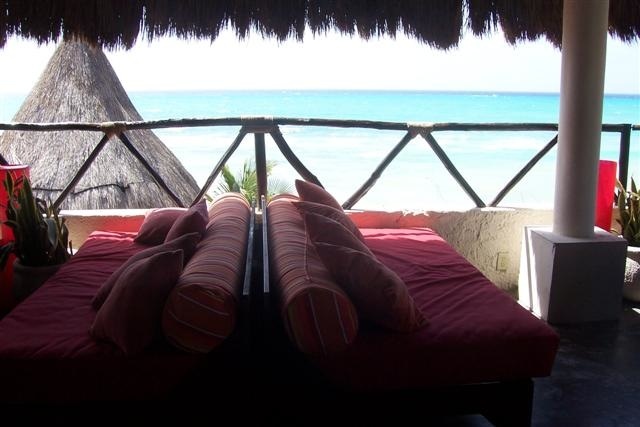 "The Blue Parrot is the Hotel you wish you had stayed at when you walk down the beach in Playa Del Carmen." 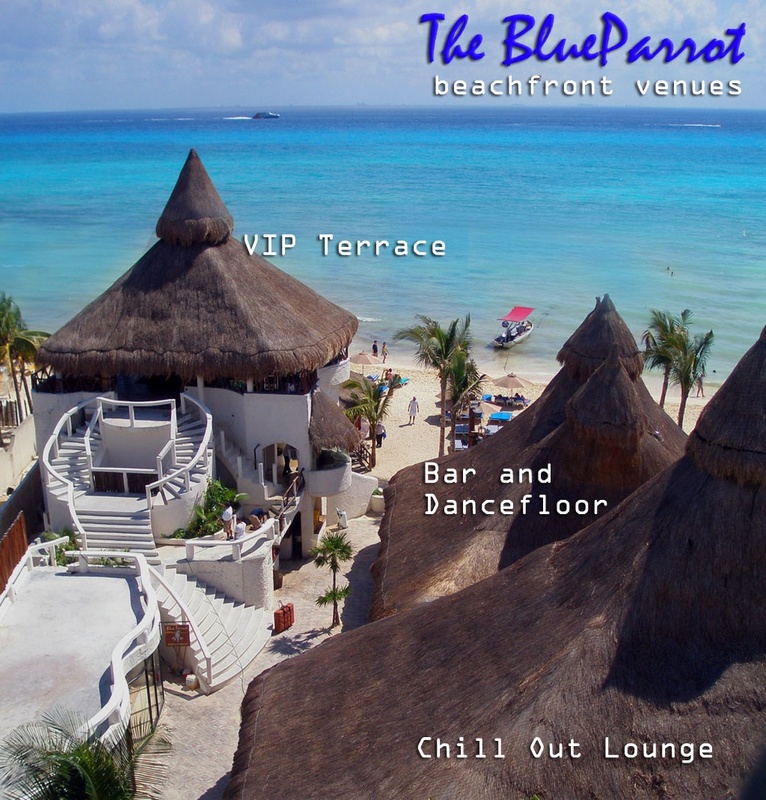 The world-renowned Blue Parrot began in 1984 as a casual beachfront hotel and bar carved out of the lush Yucatan jungle. Drawn mostly by word of mouth, an armada of adventurous travelers from Europe, Latin America and the States soon began arriving. A breed apart from the Cancun-bound throngs, these free spirits would transform what was then a remote fishing village into the epicenter of Mexico's Mayan Riviera. 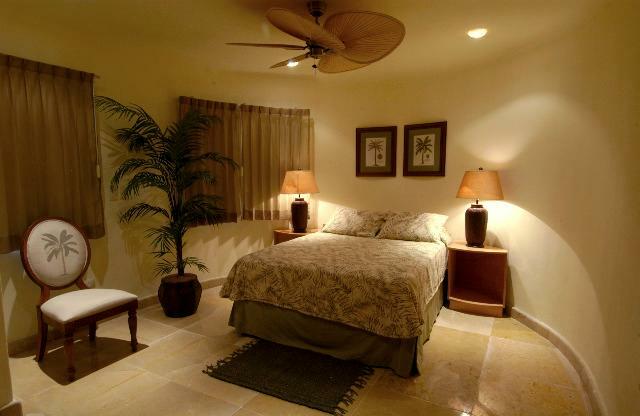 Selected as “Best Boutique Hotels” in Caribbean Travel & Life magazine’s 2005 Best of the Caribbean Reader’s Choice award, the Blue Parrot is proud to now present three of Playa del Carmen's premier boutique hotel properties. 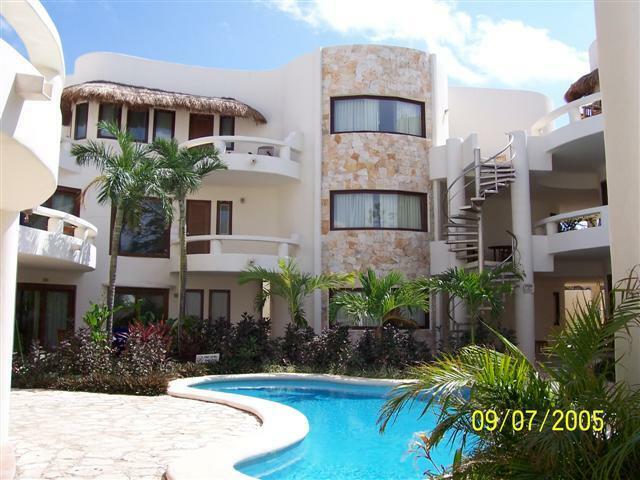 Each distinctly unique, yet all offering the same level of quality and service that the Blue Parrot has become known for. Way back in 1998, Newsweek magazine named the Blue Parrot Beach Club "one of the ten best bars in the world." As a hotel guest, there's one very important thing that you need to know about the Blue Parrot Beach Club; participation is optional. 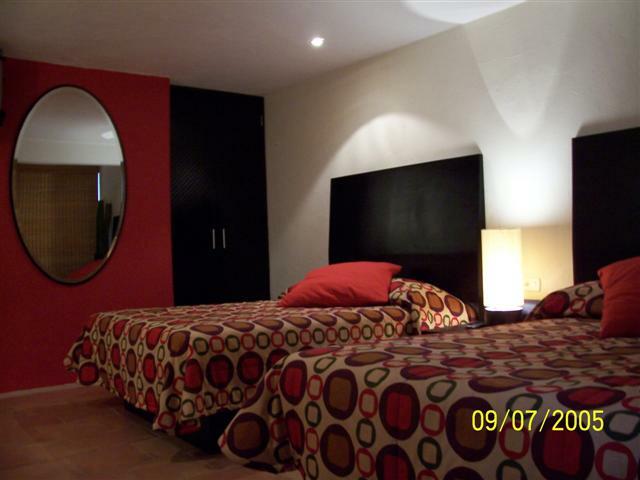 In other words, it is far enough away from the hotels that it won't disturb you--if you're not in the mood for nightlife. 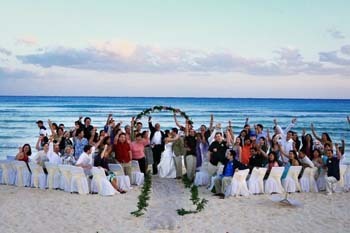 In Playa del Carmen, the Blue Parrot Beach Club has been a "must-do" for visitors for over two decades. 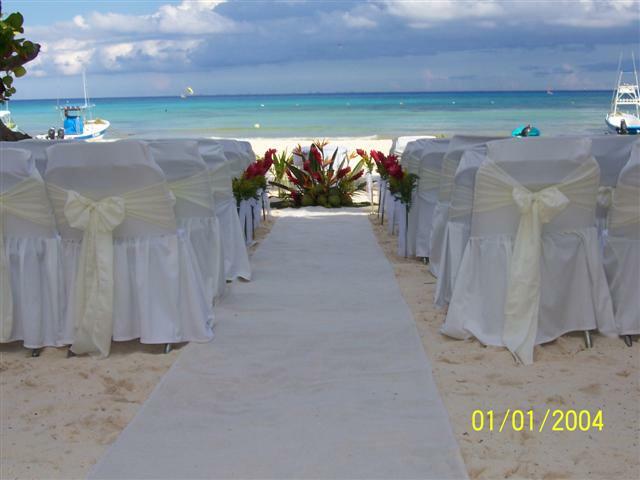 Located directly on the white sand beaches of the turquoise Caribbean; the waves literally break just feet from our dance floor. Come nightfall, the Beach Club undergoes a magical transformation as top international DJ's deliver an eclectic mix of music in three different environments. 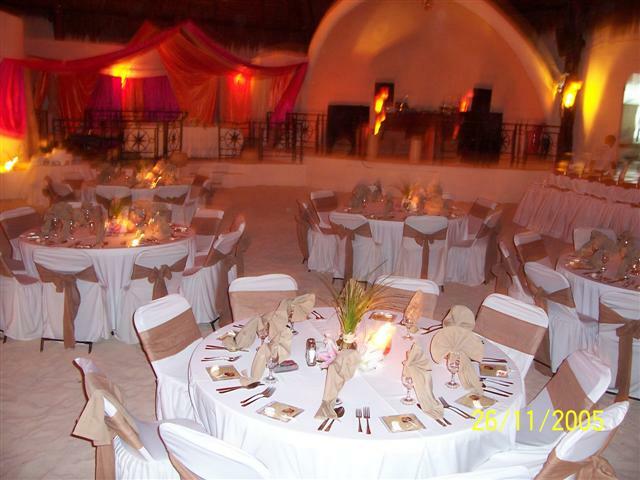 Our beach dance floor tends to feature more pop and retro, while the Palapa Lounge offers the progressive dance mix that our Latin American and European customers tend to prefer. For a more relaxed chill out vibe, the palapa-covered sky bar offers dramatic overviews of the Caribbean and the beachfront dance floor. The Legendary Blue Parrot Fire Show is presented on the beach nightly. Exotic jungle-chic design sets the theme in a dramatic open-air courtyard environment featuring a waterfall-fed jungle village of multi-level tree houses built over a glowing jewel-tone pool. A playful mix of crystal chandeliers and Moroccan glass lanterns light the seating areas as the pool slowly cycles through a spectrum of colors. Playasia's romantic and sensual atmosphere offers diners an unforgettable dining experience with a versatile menu featuring a wide array of appetizers and entrees sure to suit all tastes and occasions. The live DJ takes our guests on a nightly magical journey of music from around the world. We offer an extensive international menu incorporating a harmonious yet adventurous selection of fresh seafood, the highest quality Angus steaks, sushi/sashimi, and Asian specialties.